Onlineability is very proud to support Radio Riel through its sponsorship programme. The project started out as an innovative way to bring content into virtual worlds and is now well on its way to being a fully-fledged internet-based public radio station. Listen here. The station, which grew from a means of providing historically-accurate music at virtual events to a five-stream service incorporating an eclectic range of music, spoken-word and other programming, is celebrating its third birthday this week. On the air 24 hours a day, seven days a week, it’s a tremendous achievement by founder Gabrielle Riel and everyone else involved. And we think it’s a template for the way content might come to be served up to users in the next iteration of the internet. Just two reasons why we’re happy to be associated with Radio Riel and why we hope the association will continue for some time to come. Radio Riel’s 3rd Anniversary and Radio Riel Reverie! Three years ago, on June 1, 2007, Edward Pearse, Mitsu Figaro, Red Caliber and Gabrielle Riel launched Radio Riel, an internet radio station based in the virtual world of Second Life. Radio Riel’s goal was to provide historically appropriate music at events in the 19th Century, Victorian, Steampunk, Second Life community, The Independent State of Caledon. Radio Riel was initially a single audio stream that we used for live events and to play Victorian music daily from 4:00pm – 8:00pm SLT. That Fall, the additions of Diamanda Gustafson and Elrik Merlin took us to a new level of providing music 24 hours a day, seven days a week. Soon afterward, Otenth Paderborn and Soliel Snook joined the team. 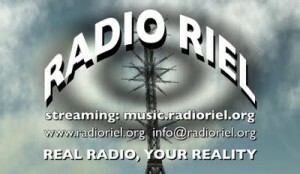 In 2007 and 2008, Radio Riel established itself as the premier source for historically appropriate and specialty music on the Second Life grid. Our Presenters knew how to provide the perfect soundtrack for any event, from a Medieval bonfire to a Baroque masked ball to a 1920’s speakeasy dance to an early 90s rave. Read the rest of Gabrielle’s post here. Filed under Events and happenings, Great content and tagged with Radio Riel, sponsorship. Thank you so much for supporting us via Sponsorship! We would not exist if it were not for you!